If you’re a crafter, you know that your Cricut machine is your best friend. But did you know that you might be missing out by only using your basic tools? Cricut has so many amazing products that are sure to take your hobby or craft business to the next level. 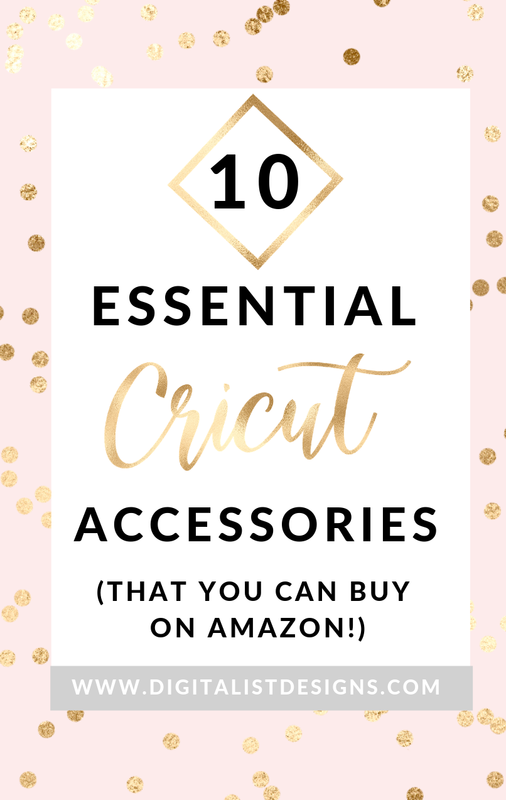 I've made a list of 10 of the most essential tools and accessories that Cricut has to offer. Let’s jump in! Don’t limit yourself to the basics of blue and black ink. With the Ultimate Fine Point Pen set you can let your projects be as colorful as your imagination. Using pens with your Cricut gives your work that unique, handwritten feeling without having to worry about your hand shaking because you’re on your third cup of coffee this morning (oh wait, is that just me?). These Cricut pens come in 30 beautiful colors, all the way from Tiffany’s blue to rosy peach. And the fine point lets you incorporate the most delicate designs with ease. How many times have you been working with you vinyl or other adhesive material only to find that you JUST missed one little air bubble? Enter the Cricut XL Scraper. Designed for working with larger areas, the scraper gives you smooth press in less time. When you’ve got leftover materials on your grip mats, like adhesive vinyl (or, let’s be real, more glitter), you can use the XL scraper to make that mat so fresh and so clean again. It has a sturdy design and a useful grip, so it definitely works better than smoothing and cleaning with your credit card for the zillionth time. Now that card can take on more useful tasks, like buying more craft supplies! With this sleek and easy to use tool set, you can stop dreading the weeding process and make it fast and fun! This kit includes fine tweezers, hook tweezers, weeder, piercing tool, and a hook weeder. So you know you’ll have the right tool for any project. They can even handle the trickiest materials like glitter vinyl. These tools make sure your creations are perfect from start to finish. So I just had to put this one on the list, because if you’re not already using a rotary cutter then What. Are. You. Doing! Perfect for fabric, this tool lets you cut down your larger pieces of material down to workable Cricut sizes with perfectly straight lines. Just line up the measurements you want on your cutting mat and let the rotary cutter zoom through your material with ease. This blade lets you use your Cricut to engrave metal, acrylic, or plastic sheets! Personally, all I can think about doing with it is making adorable name tags for all my friends’ pets. However, it also works great for making personalized engraved jewelry or plaques. This blade is for cutting your toughest of tough crafting materials. This holiday season you can turn your home into Santa’s workshop by using this baby to make leather goods, personalized puzzles, or adorable wooden birdhouses and toys for everyone on your list. This deep cut blade cuts up to 3/32” balsa wood, 2 mm tooled leather, 4-ply matboard, 2 mm Cricut Chipboard and more! If you love paper crafts as much as I do, you know that embossing gives them that extra something special. This can cut and emboss a variety of materials and is even gentle enough to use with tissue paper! And I mean come on, who doesn’t want to own a crafting machine called the Cuttlebug? You ever make the PERFECT iron-on design, but then it all falls apart once you try to apply it with your less-than-perfect iron? No more! This machine will give you professional iron-on quality with its heat plate and ceramic coated surfaces. It comes in 3 sizes: 6x7, 9x9, and 12x10. So it’s perfect for everything from baby clothes to blankets and banners. Let your iron go back to smoothing out T-shirt creases and up your heat game with the Easy Press. Carry your Cricut machine around in style with this super cute and useful carrying bag! Of course there are many machine totes out there that you can use, but this one is my personal favorite. It’s sturdy and it has so many specialized pockets that you can use it to carry your Cricut machine, your tools, and your supplies and materials. It comes in classic black and grey, but you can also get it in a gorgeous lilac purple which I am a sucker for. This will fit right in with your luggage if say you need to take it to a relative’s house this Christmas because you’re completing all your gifts last minute (oops!). Okay, so you can't get this one on Amazon, but what good is a Cricut Explore Air without any super cute designs to cut out with it?? 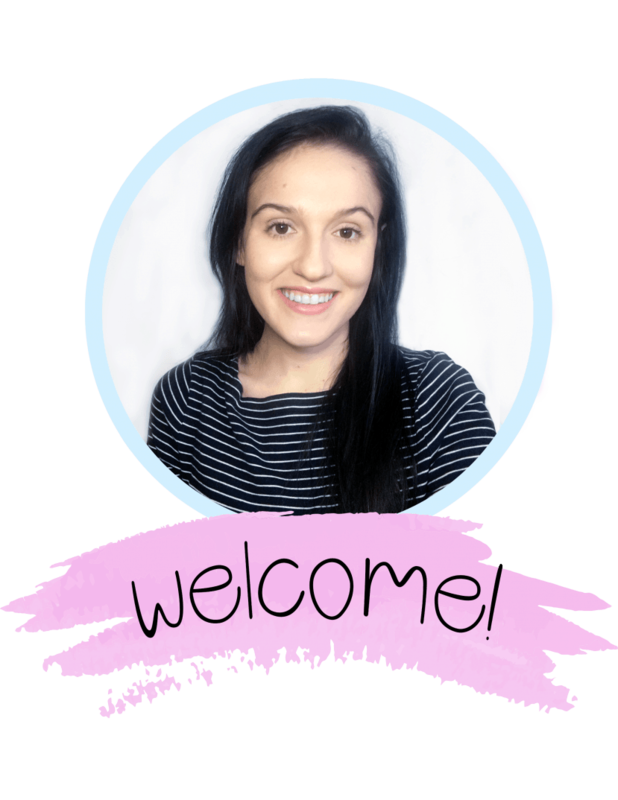 Head over to my Freebies section for ideas on what to make with all your dazzling new Cricut accessories! You’ll find plenty of free svg cut files to use in a variety of Cricut cutting projects! Here’s a guide on How to Use an SVG File in Cricut Design Space. You can also spice up your designs with some amazing fonts. Here’s a couple pages of free fonts that you can download and use with your Cricut. Thanks so much for reading!! If you liked what you read here, I’d love if you would share this page on Facebook and Pinterest. Do you have any Cricut accessories that aren’t mentioned here? Let me know in the comments!